THE QUEEN OF BLOOD won an Alex Award!!! My book, THE QUEEN OF BLOOD, just won an Alex Award!!!!! It's an American Library Association (ALA) award given to ten books written for adults that have special appeal to young adults. I am so honored, grateful, and thrilled! Thank you to ALA and the Alex committee!!! And congratulations to the other winners! Cover Reveal for ROAR AND SPARKLES GO TO SCHOOL! 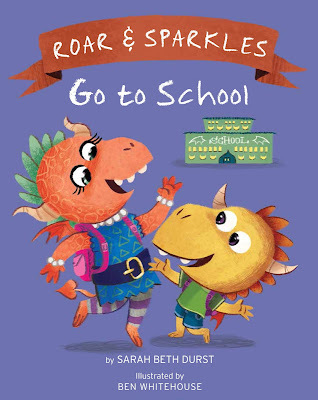 Excited to reveal the cover art for my first picture book, ROAR AND SPARKLES GO TO SCHOOL, illustrated by Ben Whitehouse and coming out this June from Running Press Kids! Get ready for the cute!! !